At ITR Physical Therapy our physical therapists are trained to treat women throughout their lifespan. Our patients range from teenagers up to a women’s later years. We specialize in treating patient with all types of pelvic floor dysfunctions, pregnancy and post partum issues, orthopedic related pain and dysfunctions and we help patients with breast cancer rehabilitation. Our physical therapists treat each patient individually while drawing from their training as women’s health physical therapists. We help patients with all types of pelvic floor dysfunctions including all types of bowel and bladder dysfunctions, sexual dysfunctions, pregnancy and post partum related issues and all types of neck and back pain. Our therapists have a special love and interest in helping patients with all types of chronic pelvic pain syndromes. We treat each patient with a natural whole body approach. We understand that when a woman has pain or a problem in their pelvic health or while dealing with breast cancer or it’s treatment effects, it is a private and often uncomfortable area to discuss. 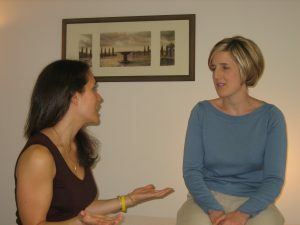 We come to each patient with a special understanding and compassion for all issues related to women’s health. From manual therapy and dietary education to postural assessments and individualized home exercise programs, we take a natural and total body or holistic approach to treating each patient. We are honored to help each patient in every way we can. Join us in your path to wellness.